Dare to improve your senses! Dare to Samba! Samba is for every one of all ages! Samba dance is very different from other formal dance forms. Samba is a unique and specialized dance form using groups of four to six step movements incorporating side-to-side, forward-and-backward, and circular motions. Men and women dance Samba differently and together, yet with minimal touching. The dance for the women can be characterized by high energy symmetrical foot movements accompanied by elegant hip, shoulder, and arm gyrations creating a dance that includes the entire body. Men also perform the same characteristic foot movements, but with limited hip and shoulder gyrations. Men dance around the women, gracefully incorporating emphatic hops, flamboyant jumps, and graceful spins. Sonia’s samba technique combines 3 important physical activity aspects: flexibility, endurance and strengthening. Flexibility: decreases your body’s stiffness which in turn allows you to be more relaxed. Endurance: increases your breathing and heart rate for an extended period of time, i.e.,improve your lung capacity, and thereby develop more stamina. Strengthening: results from your use of your own body force to tone your muscles. The combination of exercises used in Sonia’s classes will help define and strengthen muscles, especially those of your gluteus and legs. Sonia Pessoa implements techniques adapted from Afro, ballet and capoeira. These techniques will help you strengthen, align and tone your body. The focus of her methodology is self expression using your own body limits and translating that into how you feel the music. This allows you to enjoy and absorb the sensuality, the vibration and the energy of samba beat. Sonia brings over 18 years of experience. 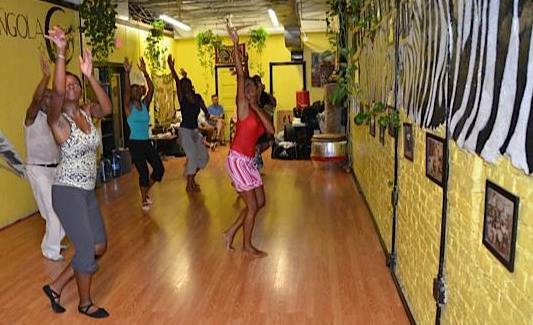 Each class begins with a 15 minute warm-up session featuring progressive Afro-Brazilian flexibility movements and stretching exercises that are set to popular Brazilian music. The warm-up is followed by a half-hour of gradually more complex Samba, capoeira , Afro and Samba Reggae dance steps, choreographed by Sonia, as the group imitates and mimics her movements in line dance fashion. The learning of the dance steps begins with a mastering of basic Samba foot movements as set to traditional and popular Samba music. As custom dictates, emphasis is placed on the second beat of the rhythm for most of the emphatic dance moves. 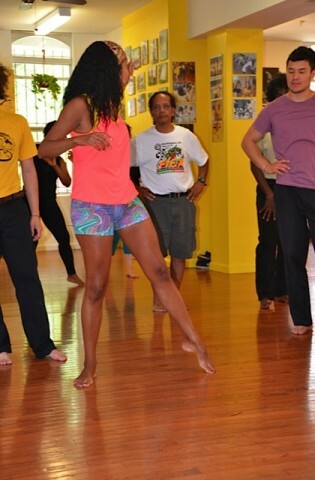 As the session progresses, participants are encouraged to learn a combination of gradually more complex Samba steps using groups of four to six step movements incorporating side-to-side, forward and backward, and circular motions, while maintaining the basic Samba foot movements. High-energy symmetrical foot movements accompanied by elegant hip, shoulder, and arm gyrations are then added, creating a dance that includes the entire body in a fully traditional representation of Brazilian culture. For the final 10 to 15 minutes of the class, students are asked to do a free style dance putting together the movements they learned during the course of class. 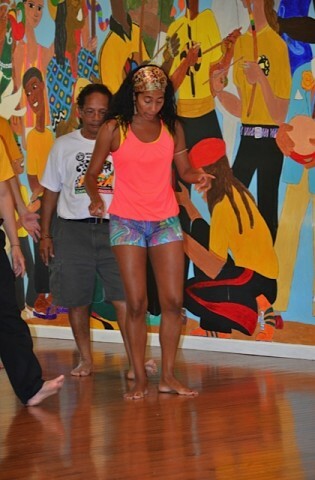 With the individual attention and personalized instruction given by Sonia, you’ll be dancing the Samba in no time. Beginner : Students will learn new dance movements each class, building coordination, flexibility, strength, posture, and grace, while emphasizing proper arm, foot, and hip movements. Choreography emphasizing the movements learned during classes will be incorporated at the end of each class. Intermediate : Students will learn a more complex and diverse combination of movements. A building up choreography will be taught. A prior samba or any Brazilian dance experience is necessary. This level requires good physical condition and coordination due to the diverse types of movements used. Dress Code : Bare feet or dancing shoes, no tennis shoes. Tight comfortable workout clothing preferable, no baggy t-shirt. Ms. Pessoa offers Private classes, Kids and senior classes and group classes.